Happy to be collaborating with SAFRA Jurong Club! SAFRA Jurong, Playground at The Canopy! A place where family and fun come together! Here, you can find various courses for both adults and children. as well as a wide range of regular events for families! This is a lightly curated market. If your merchandise is not within this list, kindly email us your product photos / with text description to sales@tgifbazaars.com for our reference, and we will seek approval for them to be sold. Financial Services / Insurance products / Property UNLESS your concept adds value to our other vendors, venue and our popup market. Please email kimhwee@tgifbazaars.com your ideas. Shared power point (Please bring your own multi-socket power extension strip). *Please note that booth selection is subject to availability and finally allocated at discretion of organizer. Kindly send your enquiries and interest to sales@tgifbazaars.com now! Limited booths only! Please key in the discount codes when you are checking out should you be booking double or triple weekends. 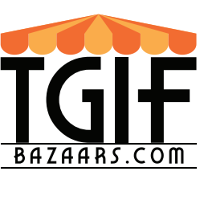 TGIF Bazaars does not accept your payment unless you have a booth confirmed, even via Paypal.